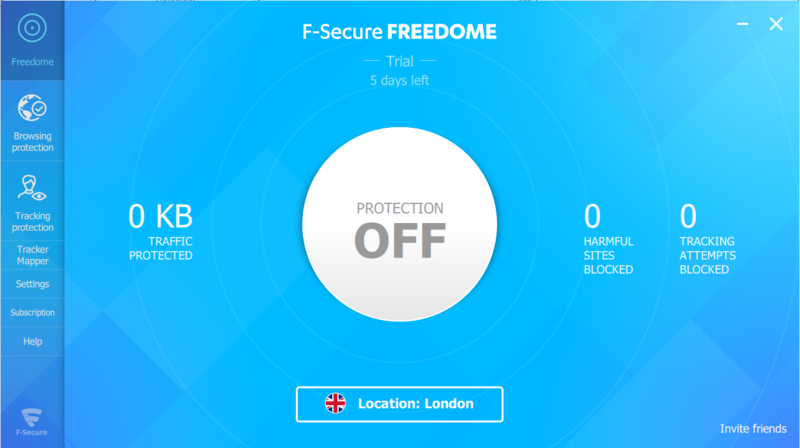 F-Secure Freedome is a VPN that has stood the test of time. With over 31 years in the industry, has this Finnish cybersecurity company nailed down the perfect VPN? At the very least, they’ve gotten the product down. 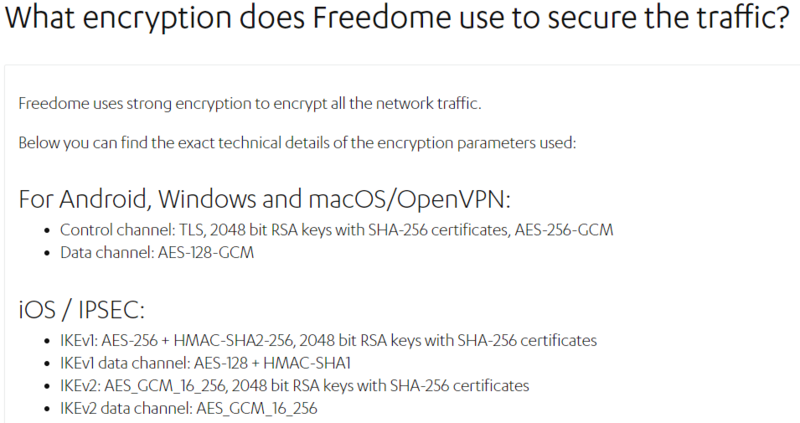 Despite being one of the larger VPN providers on the market, F-Secure Freedome is far from being well-known. On visiting their website, it certainly looks to be a promising service. That’s exactly what we’re here to find out, in our comprehensive review of this 31-year-old service! Signing up for F-Secure was quick, easy, and painless. In fact, we didn’t even need to create an account to try it out for ourselves. We simply downloaded it and off we went—it was installed in seconds with their one-click install wizard and it could be used right away. From the time of installation, you have five day’s worth of free access to their VPN. If you do purchase their product, you don’t need to create an account for it because it’s a serial key-based piece of software. F-Secure is very easy to use. The app is easy on the eyes and intuitive; you’d be hard-pressed to find somebody who has trouble using it. Selecting your desired location is as simple as using a drop-down menu and connecting to their service by clicking the big white button. Additional settings and other areas are available on the left-hand side. F-Secure includes a tracking attempt map, too. This will show you all the tracking attempts that have been blocked while you are connected. F-Secure is a very big company that offers a whole range of online security tools. As a result, they offer customer support that you come to expect from large corporations—something that is very good. By heading to their main support page, you have three options: look through the knowledge base and FAQs, post your question to their community forum, or submit a support ticket. There is also a live chat available and, if you are so inclined, you can even call their helpline. F-Secure offer a 30-day money back guarantee, no questions asked for all their products, including Freedome VPN. 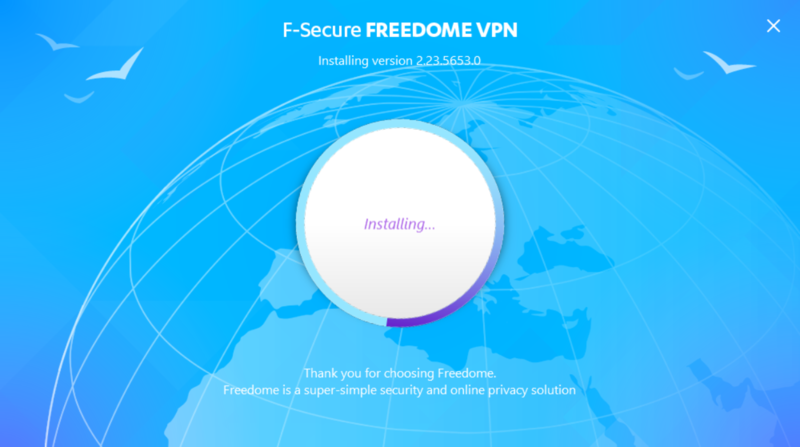 F-Secure Freedome VPN relies on the OpenVPN tunneling protocol, the accepted industry standard for all VPNs due to its strength and security. In terms of encryption, the VPN uses AES-256 encryption—this is a hacker-proof encryption key that is currently the strongest available option on the market. In addition to OpenVPN and AES-256, the IKEv3 tunneling protocol is offered on iOS devices. This is another strong protocol. Which one is used is down to personal preference. DNS Leaking: Leak-free, like a good bathtub! Leaking can kill what would be an otherwise good VPN. The point of a VPN is to protect your personal data but, if it is being leaked, then you are put at risk. Connection leaks can easily obliterate all other good factors including encryption and secure protocols. Kill Switch: Pop that switch! It is not enabled by default so don’t be caught out by this! A kill switch is important as it will completely disable your internet connection should your connection with Freedome VPN drop. This prevents your information, such as your IP address, being leaked to prying eyes. 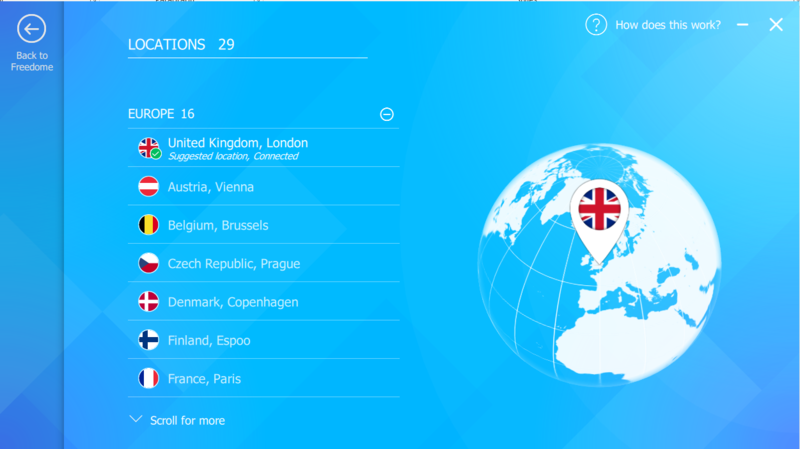 At the time of writing this review, F-Secure Freedome operates servers across 29 different countries. These countries include Australia, Hong Kong, Canada, the U.S., and Mexico, among others. Some of these countries have multiple locations, such as the U.S.
F-Secure Freedome claim that they plan to add more locations in the near future. There’s no clear indication of how many servers or IP addresses they offer, which isn’t exactly helpful in us deciding how generous the service is. 29 countries is a strong offering in terms of versatility, but we can’t confidently praise F-Secure Freedome without knowing all the facts. As with all the VPNs we review, we tested F-Secure’s speeds in two different locations to see how much our download speeds were hindered. When using a VPN, it’s normal for some loss of speed. After all, your traffic is being routed through a secondary location and you are always going to lose something. It is the extent of the loss that is important. Although these download speeds aren’t terrible, they represent a large reduction. If you already have a fast internet connection this may not be such an issue. As you can see, having above 50 Mbps to the nearest European server is a good indicator for stream-friendly experiences. However, if you want to do lots of gaming, the ping factor may let you down. F-Secure offer all the basic payment methods for their Freedome VPN service. These include credit or debit card, PayPal, and wire transfers. You can also send in checks or money orders. Unfortunately, there is no option to pay with crypto or gift cards, however, since an account is not required to use the VPN, there’s no huge privacy concern. At the moment, F-Secure is only available on Windows, Mac, Android, and iOS. This is disappointing as many VPN services offer support for a wide range of devices including routers, games consoles, televisions, and more. This loses F-Secure a few points as it means you’ll have to look elsewhere if you want to secure devices other than computers, phones, and tablets. There’s also no browser extensions available so you’ll have to download and install the client itself in order to protect yourself. This shouldn’t affect tech-savvy users, although some users may prefer plugins. Unfortunately, none of the five locations we tried to use Netflix with over F-Secure worked. Netflix has notably cracked down on VPNs accessing geo-blocked content and it’s becoming harder and harder to find a VPN that consistently works with the streaming service. F-Secure is no exception to this, unfortunately. However, you’re in luck because we’ve made a list of VPNs that work with Netflix for just this problem. F-Secure take a tough stance on P2P and torrenting whilst using their service. If they find you doing it, they’re likely to restrict your access or block you entirely. 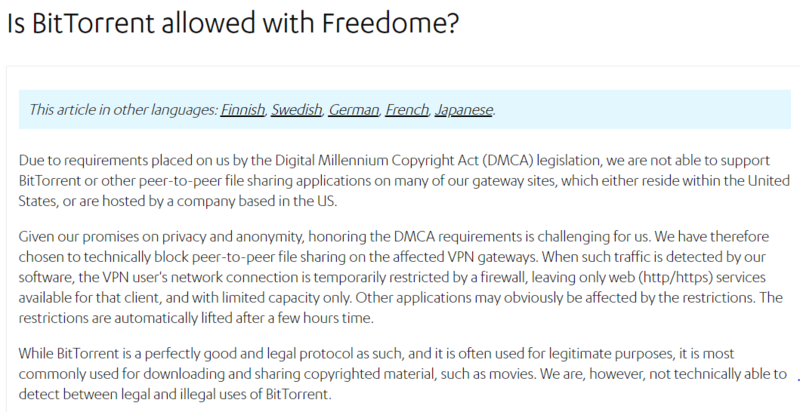 This means you cannot use BitTorrent and other popular services. If you’re a torrenter, we’ve got you covered. Check out our top picks for VPNs that support torrenting. 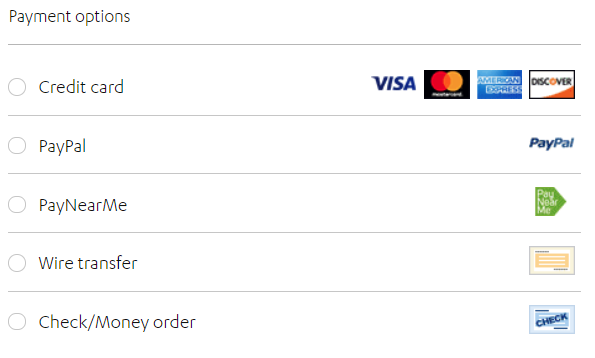 F-Secure Freedome VPN has one payment scheme that must be paid for up-front. The only difference in pricing being where you want to protect more devices. At the end of the 12-month period, you will need to re-purchase your plan. There are no monthly subscription offers or periods for less than 12 months, either. The pricing is about what we expect, with a yearly plan costing users about $60; however, having no monthly or quarterly plans lets this down considerably. On top of that, there’s no Netflix and torrenting is not allowed. A shame. What good is using a VPN if the provider is going to log all your information and be willing to disclose it to authorities when requested? F-Secure Corporation (formerly known as “Data Fellows”) is a public Finnish corporation specializing in privacy and cybersecurity. Founded in 1988, they have been a market leader in cyber security since the early days of the Internet. Their Freedome VPN has been around since the late 1990s. In 2016, they reported having an operating revenue of 158.3M EUR which is about $179.69M. F-Secure is headquartered in Finland. Finland is known for being a country that has some of the strictest privacy laws anywhere in the world. This is great news and is a major selling point for the Freedome VPN. When you use a VPN, it is not just about hiding your activity from ISPs and third-parties, but the government too. With Freedome VPN, you can use it safely in the knowledge that Finland’s strict privacy laws completely prevent government snooping and the country itself is not part of any data or information-sharing agreements—Five Eyes, for example—like the UK, US, and others. 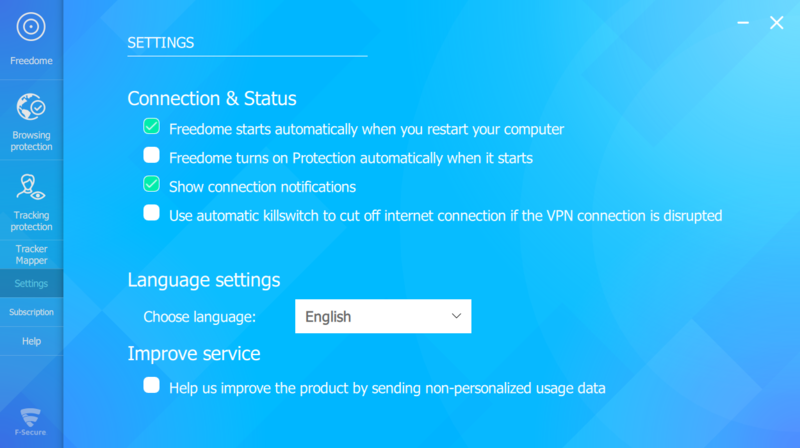 F-Secure’s Freedome VPN is undoubtedly an excellent product. It’s one that’s been around for years and has stood the test of time. It’s provided by a Finland-based cybersecurity company alongside their other security-related products that are used all around the world. Although speed may be an issue, there are plenty of servers to choose from, great customer support is just a click away, and it’s secured by OpenVPN alongside AES-256 encryption. Additionally, the company does not log anything at all in relation to your traffic. There are a few downsides worth noting; first of all, you can’t use Netflix and torrenting is definitely not allowed. Secondly, their pricing is on the more expensive side when compared to other VPNs that don’t offer the things mentioned previously. They’re still following the classic model used for software payments: one up-front fee in return for a product key that will last for 12 months. We think that this could be changed up a bit. All in all, though, a good middle of the road VPN. But if you’re left feeling unsatisfied by this review, we recommend you take a look at our top 10 VPNs.